How does a leadership challenge to a UK prime minister work? 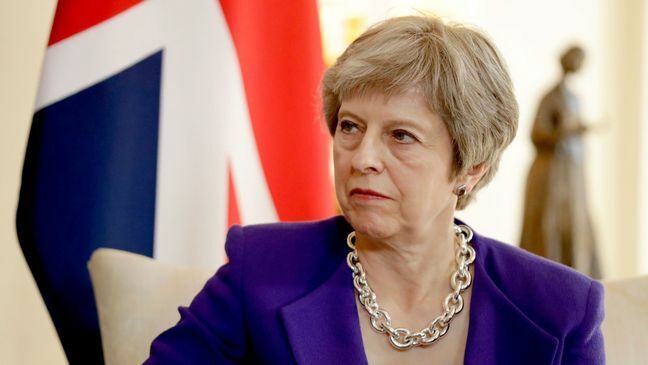 EghtesadOnline: Prime Minister Theresa May has been left exposed at the top of a government unable to unite over Britain’s plans to leave the European Union, after Foreign Secretary Boris Johnson and Brexit Secretary David Davis quit within hours of each other. - What needs to happen for there to be a leadership contest? Once that threshold has been reached, the chairman will announce the start of the contest and invite nominations. - Could this happen to May? The chairman of the 1922 committee is the only person who will know exactly how many members of parliament have submitted letters of no confidence. But some eurosceptic members of parliament have started submitting letters to the committee chairman in protest over her Brexit negotiating strategy. - What will happen during a no confidence vote? If a no confidence vote is called then all serving Conservative members of parliament will be able to cast a vote for or against the serving leader. If May wins any confidence vote she remains in office. If she loses, she is obliged to resign and barred from standing in the leadership election that follows. - How quickly can a no confidence vote take place? In the last no confidence vote against a sitting Conservative leader in 2003, the chairman of the 1922 committee announced he had received enough letters to trigger a vote on Oct. 28 and the vote was held the next day. - What would happen if May lost the no confidence vote? If May lost a no confidence vote then there would be a leadership contest. If several names are put forward to lead the party, then a vote is held among Conservative MPs using the first past the post system to whittle down the field with the candidate with the fewest votes removed. Another ballot among Conservative lawmakers is then held until two candidates remain. The final two nominees are then put to a ballot of the wider Conservative Party membership with the winner named the new leader. Following David Cameron’s decision to step down as prime minister and Conservative leader after the EU referendum in 2016, five candidates put their names forward. The field was narrowed to May and then junior minister Andrea Leadsom but she pulled out of the race before members voted, leaving May to become leader unopposed.